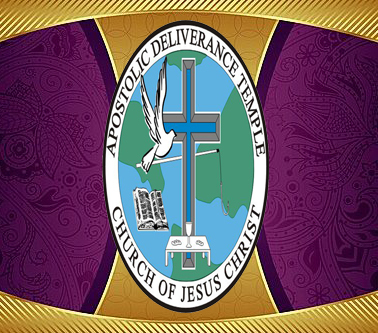 MUSIC - The Music Ministry of the Apostolic Deliverance Temple consists of the musically talented believers who have answered God’s call to the Music Ministry. They are the musicians, and praise team members who have dedicated their lives to ushering God’s people beyond the veil, into the presence of His Majesty. The Music Department consists of the ADT Rapture Ready Choir, #2 Choir, Missionary Choir, Praise Team and Children of Zion Singers. ELDERS & MINISTERS - The Elders of the Apostolic Deliverance Temple provide support to our pastor in upholding and carrying out his vision to see souls saved, bodies healed and delivered. The Elders also serve the local body and community in conjunction with existing ADT’s ministries and auxiliaries for the betterment of the church and community. The ministers provide the membership with love, ministry and prayer, and serve the local body and community in conjunction with existing ADT’s ministries and auxiliaries for the betterment of the church and the community. DEACON'S MINISTRY - The Deacon’s ministry consists of mighty men of God that serve the congregation and the community in many areas. The Deacon’s Ministry also provides service to the congregation and support the vision of the ministry. Boys To Men Mentoring - The Boys to Men mentoring program provides workshops and seminars for males between the ages of 8 to 25. Parking Lot Attendants - The purpose of the parking lot ministry is to ensure that the worshippers and visitors are ushered on and off the premises in a courteous, safe and expeditious manner. Transportation Ministry - The Deacons provide a friendly, safe and reliable transportation for invited guests, members of the congregation, and various ministry departments as needed. The goal of this ministry is to serve the people of God in a courteous and professional manner and to provide a responsive service in the Spirit of Excellence while transporting God’s people to the house of God and other establishments. The Mother’s Board are our beloved aged women that teach the women of the church to love God. The Missionary Ministry is the Missionary Department which serves in many areas of the church and community. Women’s Ministry - The Women’s Ministry is a viable ministry that serves the women of the church, teaching them how to love God and family. The Women labor together in the beauty of holiness teaching by holding seminars and shut-ins on a regular basis. The Annual Women’s Conference is a great event held each year consisting of Women’s Fellowship Tea and many other events designed especially for women. Prayer Band - The Prayer Band is a vibrant ministry where the members fast and pray for any and all of the needs desires and emergencies of the church and community. Intercessory prayer is the main focus of the Prayer Band on a daily basis to seek the will of God for our lives and the ministry of Jesus Christ. There are and have been many miraculous testimonies of bodies being healed from cancer, all manner of diseases, and many other miracles have been performed by God down through the years through the prayers of the saints. as they experience his presence in their homes. Prison Ministry - A viable ministry that allows those person who are incarcerated to experience the presence of God within the physical walls of prison. Members gather at the local prisons and jail establishments, offering anointed worship and praise services to inmates and their families. the community outreach service offered by the church. Gift baskets, flowers and other tokens of love are given whenever needed. The Getwell Committee are the lifeguards of the soul, mind and body. Repast Committee - The Repast Committee responds by showing godly compassion to members of the congregation who have experienced the loss of a loved one. This committee is responsible for preparing the repast dinner for the family and friends of the deceased. The committee responds promptly with an anointing and spirit of excellence to the needs of the bereaved family. Pastor’s Aide Group - This group aids the pastor by providing anything the pastor may need, from a handkerchief, to finances for travel and other expenses. This group is responsible for ensuring that the encouragement and motivational vision of the pastor continues by sponsoring the Annual Pastor’s Honor Roll Program. This group is the group that chairs the yearly Pastor and Wife Anniversary Service. The goal of this group is to assist the Pastor with each and every need. This group aids the First Lady of the Church by providing anything that the First Lady may need.